Sean O’Muimheachan, a primary teacher in Macroom, printed with Selfpublishbooks.ie a casebound book of his poetry. I had a quick chat with Sean and asked him where it all began. spent all my working life there. Very boring you might say! Not at all. also at work, producing works that were to earn for them national fame. smile to the face of the reader. in Carrigtwohill. I was facing the unknown. Brian Kennedy’s first book, Confessions of an Exeter City Nut, was self-published before being taken up by a small publisher in England. His 2011 book, Just Follow the Floodlights was published by Liffey Press and went to No.1 on Amazon’s English Football League Bestseller List on 4 different occasions. I caught up with Brian to talk about his new memoir, Radio Blaa Blaa. So how long has Radio Blaa Blaa been in the works? How did it begin? “I wrote it in about six months,” Brian says, “When I put my mind to something, I keep at it until the project is finished. ‘Radio Blaa Blaa’ was no different to any other publication of mine in that respect. I started the project, set a date to finish and worked within those boundaries. Brian is no stranger to self-publishing, but I was curious as to why he chose it again. “For Just Follow the Floodlights, I had a publicist, graphic designer and a book distributed all over Ireland by Gill & McMillian, but I actually enjoy the self-publish route just as much. That way you’re judge, jury & executioner on everything. Selfpublishbooks.ie are reprinting Katherine O’Riordan’s memoir, A Certain Time, A Certain Place and luckily I got to catch up with the author herself. Katherine O’Riordan was born in Macroom town where she lived for twenty-one years until she married and moved to Cork. I asked her where the writing began. She said, “Those years I spent growing up left such a lasting impression on me that I was forever writing down memories as they came, in the hope that one day my children and grandchildren would get a glimpse of everyday life. With her collection of short stories, she then decided to make a book of them and so A Certain Time, A Certain Place came into being. Having a father and uncles who worked as house-painters, it was no surprise that Katherine also took up painting as a hobby and has made hundreds of art works, which have found homes all over Ireland and further afield. 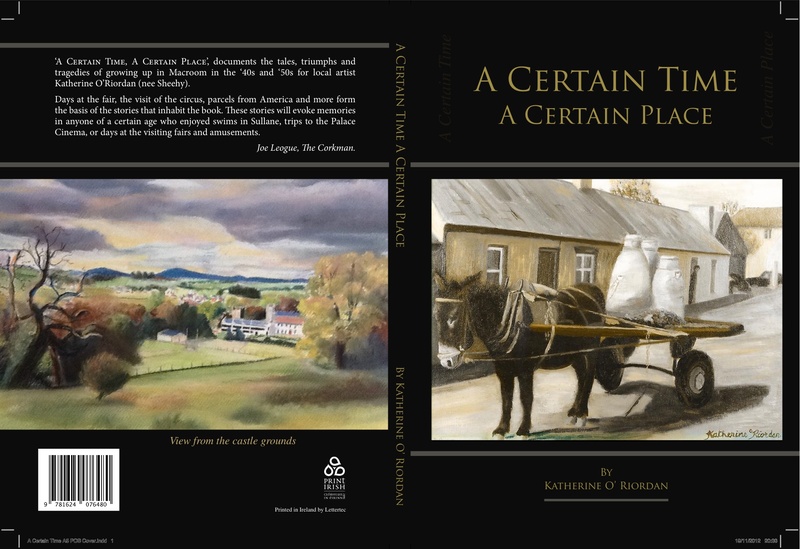 In A Certain Time, A Certain Place, Katherine has captured a part of Ireland that will evoke memories in anyone who enjoyed swims in Sullane, trips to the Palace Cinema or days at the visiting fairs, and transport anyone who is unfamiliar with those memories right back to Macroom in the ’40s and ’50s. It is easy to see the influence of painting and music on Katherine’s prose and she vividly describes a very specific part of Ireland’s history. The International Charity Bazaar was founded in 2006 by the wife of the then Pakistani Ambassador to Ireland in order to raise money to provide relief to the victims of the devastating earthquake in Pakistan. Since then, the Bazaar has evolved and is now a firm future on the social calendar in Dublin. 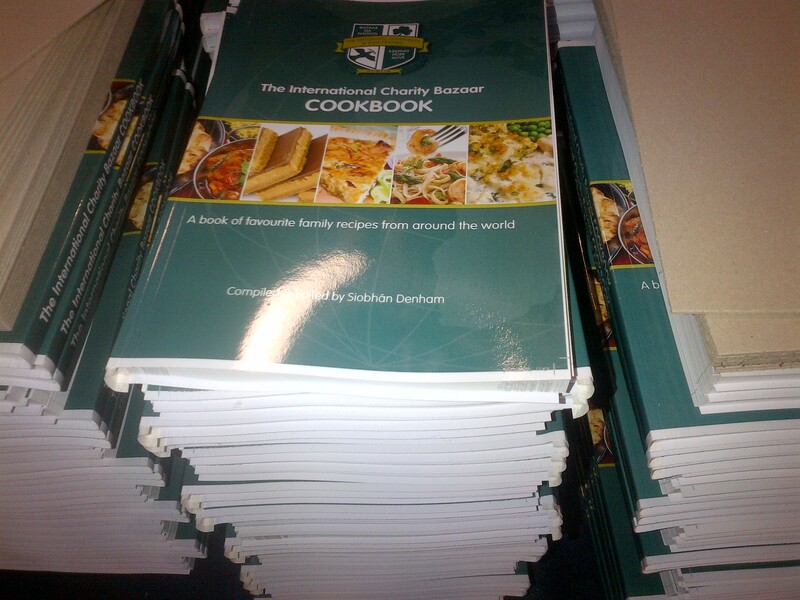 It had long been the wish of the organising committee to publish a cookbook of international recipes in order to raise funds. This week I caught up with the woman who led the project, Siobhan Denham. I asked her where the whole idea started. You can also find them on LinkedIn and Facebook.